Cost of Attendance - Includes tuition and fees, room and board, books and supplies, personal expenses and travel. 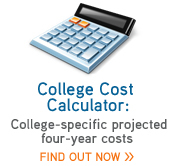 Expected Family Contribution - This is the amount that you are "expected" to contribute toward the cost of college. In other words, it's how much the government thinks you can afford to contribute toward college costs. This is used to determine a student's eligibility for federal and in most cases state-funded student aid. The formula for determining this amount takes into account a family's (i.e., parents and student) income, assets and other relevant variables. This information used to determine the EFC is submitted on the FAFSA (Free Application for Federal Student Aid) form. Financial Need - Subtracting your EFC from the COA at the school you are considering determines whether or not you are a candidate at that school for financial aid. 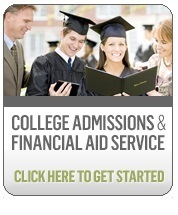 If the COA is greater than your EFC, you are a candidate for need-based financial aid. Otherwise, you are not. Depending on whether or not you are a candidate for financial aid provides the starting point for developing an effective college savings/funding plan and identifying and implementing strategies to help reduce the burden of college costs.